Driving the right visitors to your website through effective SEO and SEM strategies is an important part of your marketing strategy — but what do your site visitors do once they arrive? Are they taking the actions you want them to, engaging with content, filling out forms and clicking on CTAs? 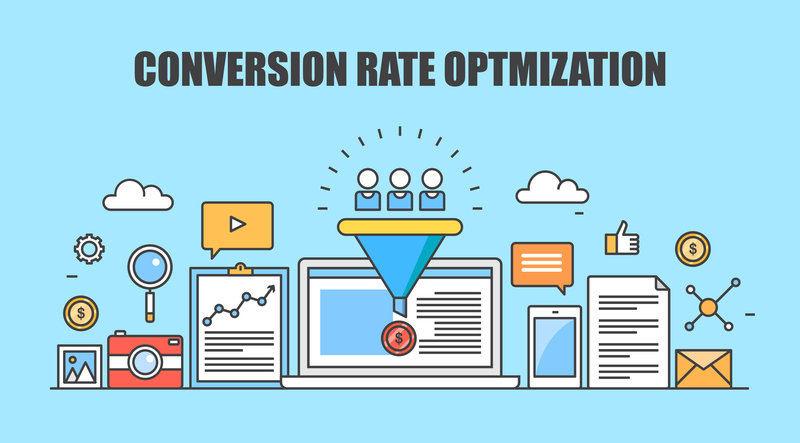 If those actions aren’t happening at the desired rate, consider implementing conversion rate optimization (CRO). Your conversion rate is the percentage of site visitors who complete the desired action. Conversion rate optimization is the process of improving the manner in which visitors move through your website so that percentage increases. The primary ways to optimize conversion rate include improving UX and reevaluating content strategy to better fit the customer lifecycle stages. But to effectively take any of those actions, you need to understand how users are interacting with your site. Effective CRO is grounded in the principles of the scientific method. Enacting consistent, measurable improvements requires experimentation, not guesswork. To start increasing your conversion rates, observe how users are currently interacting with your site. Use tools like HotJar and Google Analytics to see where site visitors are clicking, scrolling, hovering and spending the most time on your website. If some of your pages have higher conversion rates than others, examine those and try to figure out why. Once you’ve observed the existing user behavior, hypothesize how it can be improved. Maybe your form is too long. Maybe your CTA is poorly positioned. Maybe your copy isn’t easily scannable. Then test out your hypothesis through an experiment. Don’t just universally roll out your proposed solution, implement it gradually and track whether or not you’re seeing the results you want. If you hypothesize your low conversion rate is caused by poor form strategy, don’t immediately swap out every form you have. A/B test a page with your updated form and see whether it performs better than the original over time. If the original page performs better than your update, your hypothesis was incorrect, and you need to look for other reasons why your conversion rate isn’t as high as you’d like. Tracking and measuring results is an essential part of the scientific method and an essential part of CRO. You can’t say your conversion rate has improved if you don’t have the data backing it up. Conversion rate optimization and conversion optimization are often used to refer to the same services. At New Breed, we prefer to use conversion optimization instead of conversion rate optimization because sometimes making website improvements can decrease the conversion rate due to an increase in the number of landing pages a typical user views but increase the total number of submissions per month. For example, bringing more people to a landing page can bring the total submission rate up, but still decrease the conversion rate due to a lower proportion of submissions to visitors than the site had with a smaller audience. CRO also implies that’ll you’ll only optimize the submission rates of existing marketing assets, but conversion optimization also looks at how creating and measuring new assets can improve your site’s performance. Regardless of whether you’re focusing solely on CRO or looking at a broader conversion optimization, it’s important to follow the principles of the scientific method and track how your improvements are performing in relation to your main KPI. Want to learn more about conversion optimization tactics and how to measure their success? Download our webinar The Methods, Metrics and Merit Behind Conversion Optimization.